Associate Professor, Department of Neurology, University of Maryland School of Medicine, USA. Brenda Hanna-Pladdy is Associate Professor of Neurology, Radiology and Psychiatry and a member of the Movement Division in the Neurology Department. She obtained her Ph.D. at Louisiana State University and completed her post-doctoral fellowship in neuropsychology under the direction of Kenneth Heilman, MD in the Department of Neurology at the University of Florida McKnight Brain Institute. Prior to her current appointment at the University of Maryland she held appointments at Emory University, Cognitive Neurology & Alzheimerâs Disease Center and Psychiatry Department of Northwestern University Feinberg School of Medicine, and Landon Center on Aging and Psychiatry Department at the University Of Kansas School of Medicine. 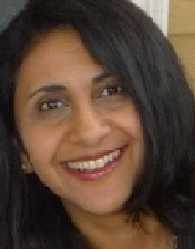 Her primary research interests are in cognitive aspects of skilled movements in aging, stroke and neurodegenerative disease, utilizing neuropsychological, behavioral, kinematic and functional neuroimaging techniques. Dr. Hanna-Pladdy has several ongoing research projects exploring the cognitive benefits of musical instrumental activity in aging, and projects focusing on dopaminergic modulation of cognitive aspects of skill acquisition in Parkinsonâs disease and plasticity of multisensory movement representations in the recovery of apraxia following stroke (NICHD). Research interests are in neuroimaging and cognition, and cognitive aspects of skilled movements in aging, stroke and neurodegenerative disorders including Parkinsonâs disease.